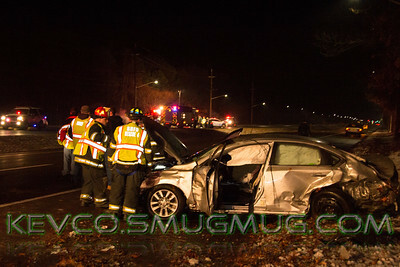 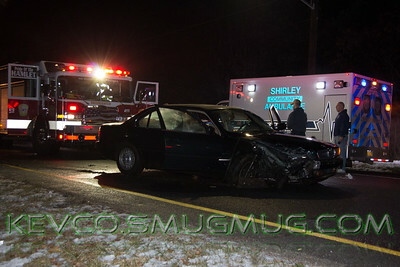 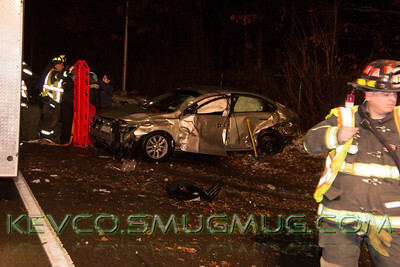 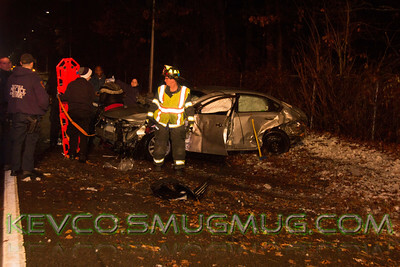 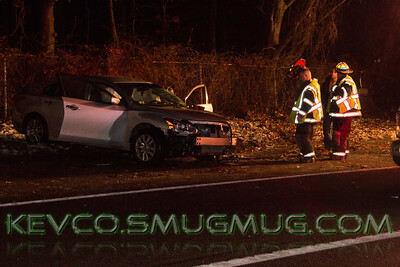 On Saturday January 24, 2014 at about 9:59 PM the Brookhaven FD & Shirley Ambulance Company were activated for an MVA on the southbound William Floyd Parkway and Coraci Blvd, possible entrapment. 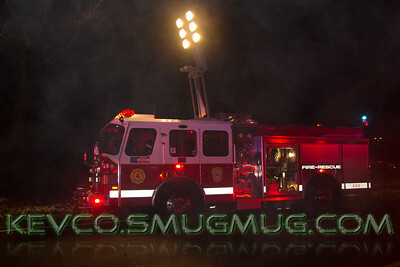 All Brookhaven Chiefs responded with Chief Connors, 5-3-30, taking command. 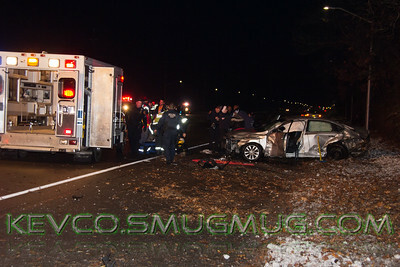 Brookhaven FD Heavy Rescue, 5-3-3, and Rescue 4, 5-3-4 responded to the scene along with Fire Police. 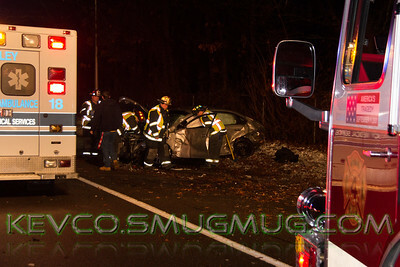 Chief Connors directed the responding units as to which vehicle to respond to, due to the fact that after the vehicles collided in the S/B Lanes one came to rest on the right shoulder of the S/B William Floyd Parkway and the other vehicle had crossed the divider and stopped in the N/B lanes about 300’ south of the first vehicle. 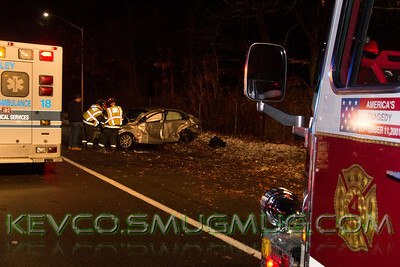 Negative entrapment was also reported and crews secured both vehicles upon arrival. 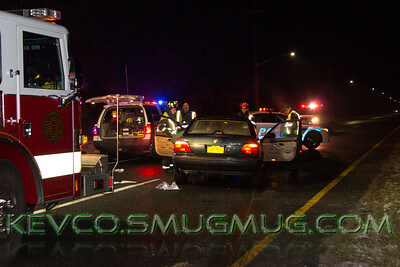 Fire Police assisted SCPD with closing down both directions of the roadway. 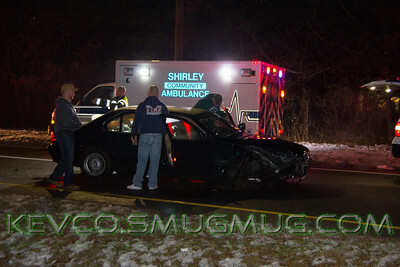 Shirley Ambulance treated occupants of both vehicles and transported two patients to Brookhaven Memorial Hospital for treatment of their injuries, their condition was unknown at this time. 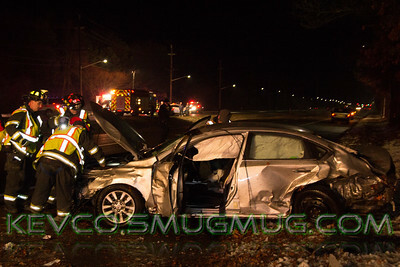 All units were returned to service around 10:45 PM. 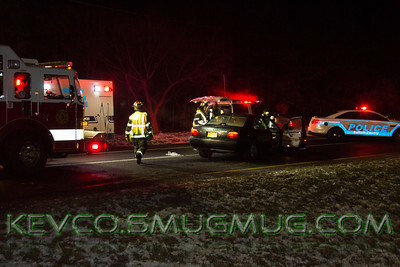 SCPD continued to keep the roadway closed as Crime Scene responded and conducted their investigation into the cause of the accident. 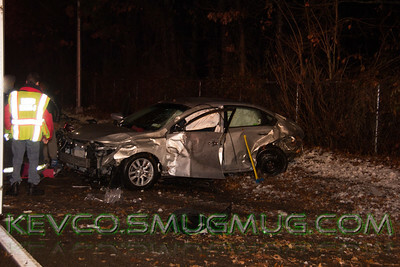 The SCPD Wrecker responded and impounded the vehicles as a part of the investigation.